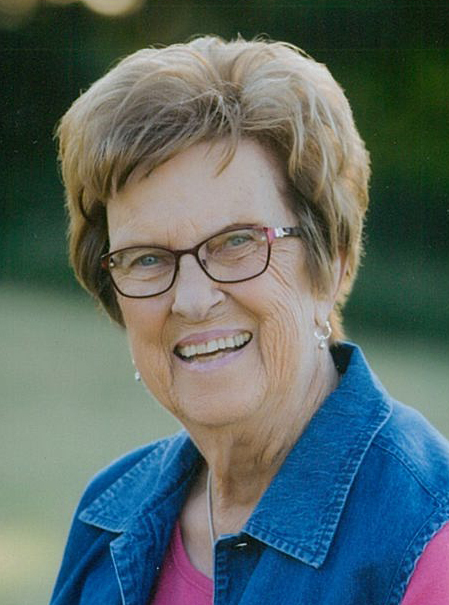 Fairfield resident Ramona (Heinrichs) Dana, 88, passed away Sunday, January 20, 2019, at Fairview Manor, Fairmont, NE while on hospice care. Funeral services will be 10 a.m. Friday, January 25, at Butler Volland Chapel in Hastings with Pastor Greg Lindenberger officiating. Interment will be at the Fairfield Cemetery, Fairfield, NE. Memorials may be given to Ramona Dana Memorial Fund to be designated at a later date. Visitation is 1-8 p.m. Thursday with family present 6-8 p.m., and one hour prior to service at the funeral home. Ramona was born to Elizabeth (Sanders) & Emil Heinrichs on May 11, 1930, at Bruning, NE. She was baptized in the Lutheran faith in infancy and renewed her faith by confirmation in 1946 at the Trinity Evangelical Lutheran Church at Bruning, NE. Her confirmation verse was Romans 1:16 I am not ashamed of the gospel of Christ; for it is the power of God unto salvation to everyone that believeth. She completed eight grades at a country school and graduated from Carleton High School in 1947. On December 21, 1951, she married the love of her life Lloyd Dana and lived in Fairfield, NE. They were married for 59 years; to this union, they were blessed with four children, John, Diane, Lee, and Denise. Ramona was very active working on the family farm and raising her four children. She was also active in community activities and was a charter member of the Blue Bonnet Extension Club. In 1981, Ramona took her first outside of the home job working at the Roman L. Hruska Research Center where she worked on the meat tasting panel and in the meat building. During her 28 years of employment, she worked in various capacities, the latest at the Great Plains Veterinary Center where she was the custodian. In 1986, Ramona was selected as employee of the month. Ramona retired in 2009. Ramona enjoyed sewing and taught her two daughters and granddaughters how to sew. She also helped her children and grandchildren with many projects. Her grandchildren were her pride and joy. She enjoyed their many accomplishments and school activities. Ramona enjoyed and stayed active with water aerobics, exercise classes, playing cards, dominoes, and yard work. She also enjoyed visiting with her family and friends, along with being able to live alone and still drive her vehicles at age 88. Ramona moved to Fairview Manor in Fairmont, NE on January 11, 2019. Ramona was preceded in death by her husband, Lloyd Dana; both parents; brothers, Orval Heinrichs and Dale K. Heinrichs; sister-in-law, Margaret Heinrichs; parents-in-law, Lyman & Pearl Dana; brother & sister-in-law, Leonard & Laura Dana; and daughter-in-law, Deb Dana.